The new trawler concept of the slovenian Seafaring 44 offers a lot of comfort as well as an unbeatable range. 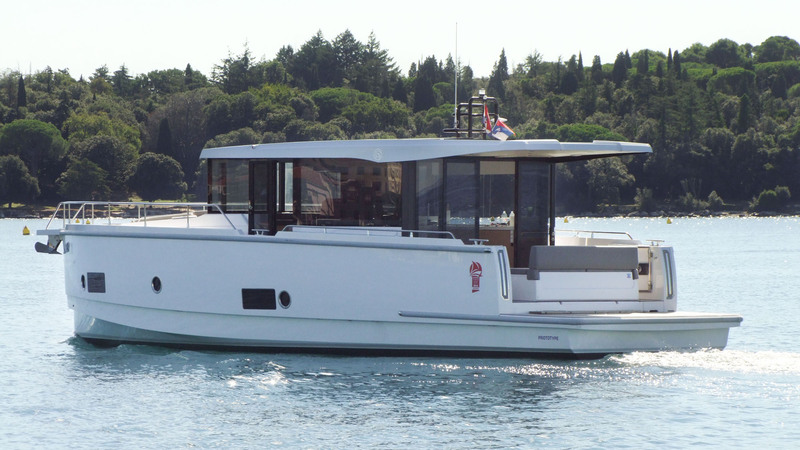 An experienced team of designers created a very spacy motor yacht, on which the guests can enjoy and relax without thinking where and when to refuel gas and water. Solar panels on the cabin roof ensure that all electrical needs are met during long time aboard. Value for money.